This is not a joke. This is the world we live in. The above, ramshackle, four-bedroom home, albeit with unobstructed views of the ocean along the Great Highway, just sold for $1.2 million  which is, as Curbed notes, $411,000 over its $799,000 asking price. It's probably a tear-down. 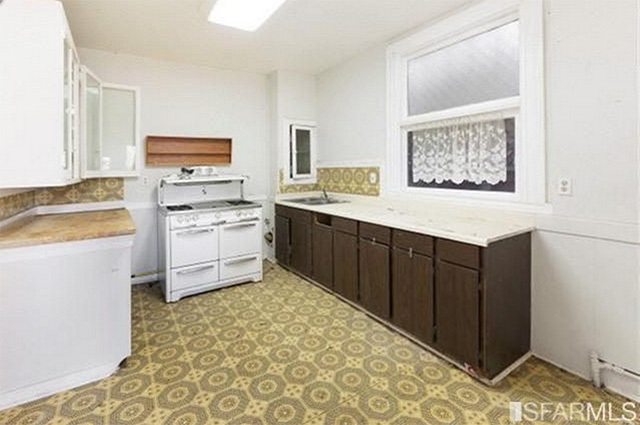 The listing even said it's "in a deteriorative state" and it is "not for the novice," but the buyers obviously think they can work with this  including the disaster of a kitchen you can see below. It also appears the house was in much better shape when it last sold just seven years ago, in 2008, but its recent owners really let it go. Hey, why not pay $1.2 million for oceanfront land?